Brain-derived neurotrophic factor (BDNF) is involved in neuronal and glial development and survival. While neurons and astrocytes are its main cellular source in the central nervous system (CNS), bioactive BDNF is also expressed in immune cells and in lesions of multiple sclerosis and its animal model experimental autoimmune encephalomyelitis (EAE). Previous data revealed that BDNF exerts neuroprotective effects in myelin oligodendrocyte glycoprotein-induced EAE. Using a conditional knock-out model with inducible deletion of BDNF, we here show that clinical symptoms and structural damage are increased when BDNF is absent during the initiation phase of clinical EAE. In contrast, deletion of BDNF later in the disease course of EAE did not result in significant changes, either in the disease course or in axonal integrity. Bone marrow chimeras revealed that the deletion of BDNF in the CNS alone, with no deletion of BDNF in the infiltrating immune cells, was sufficient for the observed effects. Finally, the therapeutic effect of glatiramer acetate, a well-characterized disease-modifying drug with the potential to modulate BDNF expression, was partially reversed in mice in which BDNF was deleted shortly before the onset of disease. In summary, our data argue for an early window of therapeutic opportunity where modulation of BDNF may exert neuroprotective effects in experimental autoimmune demyelination. Brain-derived neurotrophic factor (BDNF) is a neurotrophin involved in neuronal survival, differentiation and function as well as axonal growth, modulation of neuronal activity, and activity-dependent synaptic and dendritic plasticity in the central nervous system (CNS) (reviewed in ). In several experimental models it was shown to exert neuroprotective effects [8, 12, 26]. The importance of BDNF for brain function and maintenance is underscored by the fact that BDNF-deficient mice already die during the first weeks of life . Even heterozygous mice with 50% reduced levels of BDNF expression display some behavioral deficits such as aggressiveness, hyperactivity, hyperphagia and obesity [14, 22, 33]. BDNF also plays a role in autoimmune neuroinflammation. Recently, we showed that BDNF indeed has a neuroprotective role in the myelin oligodendrocyte glycoprotein (MOG)-induced animal model experimental autoimmune encephalomyelitis (EAE) . This was particularly highlighted by a more severe clinical disease course in mice in which BDNF was conditionally deleted either in cells of the immune system (T cells and monocytes/macrophages) or in astrocytes/neuronal subpopulations. A higher amount of axonal damage was detected in these mice without accompanying alteration of the inflammatory process . Immune cell-derived BDNF could be of relevance for the observed protective effects. Indeed, it had been observed before that this neurotrophin is expressed in T cells, B cells and activated monocytes/macrophages [15, 17]. Moreover, BDNF was found in lesions of multiple sclerosis (MS) patients and also in EAE . Conditional BDNF-deficient mice specifically lacking BDNF in T cells and monocytes/macrophages displayed a progressive motor impairment in the late phase of EAE accompanied by an increase in axonal damage . Furthermore, supplementation of BDNF by injection of BDNF over-expressing MOG-specific T cells resulted in amelioration of EAE symptoms and reduced axonal damage . These results support the concept of BDNF being a molecular correlate for a neuroprotective immune response . The disadvantage of the aforementioned approaches is that they are all based on the permanent ablation of BDNF early during development. The permanent absence of BDNF may result in compensatory up-regulation of other neurotrophines or cytokines or disruption of fine-tuned regulatory networks within the target cells, thus making it difficult to isolate the function of BDNF. 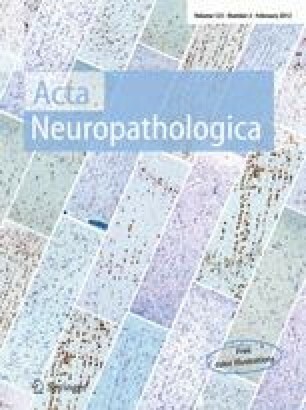 In this regard it has been recently reported that heterozygous BDNF +/− mice have a diminished peripheral Th1/Th17 antigen-specific response after immunization with the myelin basic protein–proteolipid protein fusion protein MP4 and consequently reduced EAE clinical course and histopathology . Another disadvantage is that previously a reduction of BDNF expression within the CNS could only be achieved in distinct cell types such as astrocytes and as yet poorly defined neuronal subpopulations but not over the entire CNS. Finally, these approaches did not allow one to define the relevant time period of BDNF action in the course of EAE to mediate neuroprotective effects. Thus, it is of great interest to study the role of endogenous BDNF in a setting where the factor is present during the development and normal homeostasis but can be specifically deleted at different time points after EAE induction. In this study, we employed tamoxifen-inducible Cre mice  to yield an inducible reduction of BDNF levels in cells both of the CNS and the immune system. In general, we could confirm the neuroprotective role of BDNF. An induced reduction of BDNF early (after the priming phase but before the onset of clinical symptoms) but not later in the course of EAE resulted in a more severe disease course. These results were reproduced in bone marrow chimeras with BDNF levels reduced within the CNS but spared in the hematopoetic compartment, thus arguing for the relevance of BDNF production by CNS resident cells for the observed effects. Mice with two loxP sites flanking exon 8 in the BDNF locus (BDNFfl/fl) are already described elsewhere [18, 25] and were bred in our colony in IVC cages. ESR-Cre mice were purchased from Jackson (stock number 004682) . The two lines were crossed, resulting in ESR-Cre/BDNFfl/fl mice (designated as BDNFind−/− mice). BDNFfl/fl littermates served as controls in all experiments. All mice were backcrossed on a C57BL/6 background for at least ten generations. Animal experiments were approved by the responsible authorities in Lower Saxonia. Tamoxifen was purchased from Sigma, Deisenhofen, Germany and dissolved in sun flower oil. Mice received three injections of 3 mg (in a total volume of 150 μl) every other day. In EAE experiments, mice received 3 mg tamoxifen at days 7, 9 and 11 after immunization (p.i., early deletion) or at days 14, 16 and 18 p.i. (late deletion). In the very first control experiment on the effect of tamoxifen in EAE development, control mice received sun flower oil only. EAE induction and scoring are described elsewhere [18, 19]. Briefly, mice were immunized with 50 μg MOG35–55 in an equal amount of complete Freund’s adjuvant and received 200 ng pertussis toxin (List Biochemicals, Campbell, CA, USA) i.p. on days 0 and 2 p.i. The clinical evaluation was performed on a 10-point scale ranging from 0 (healthy) to 10 (dead) . Mice were scored and weighed daily. In some experiments, mice were treated with 500 μg glatiramer acetate s.c. at the time of immunization . Mice were killed on the indicated days and mRNA was prepared from the cerebrum, cerebellum, spinal cord, T cells and macrophages using an RNeasy Mini kit (Qiagen, Hilden, Germany). T cells were purified from a single cell suspension of splenocytes using a Pan T cell isolation kit (Miltenyi Biotec, Bergisch Gladbach, Germany) and macrophages were isolated from the peritoneum by lavage with two times 2–3 ml ice-cold PBS, followed by plating for 6 h in medium at 37°C, removal of non-adherent cells and further cultivation overnight at 37°C before harvesting and RNA preparation. cDNA was prepared using superscript™ II reverse transcriptase (Invitrogen, Karlsruhe, Germany). Real-time PCR was used to amplify the coding sequence of BDNF with mBDNF S (5′-GGGCCGGATGCTTCCTT-3′), mBDNF AS (5′-GCAACCGAAGTATGAAATAACCATAG-3′), and mBDNF Son (5′-TTCCACCAGGTGAGAAGAGTGATGACCAT-3′) as primers. All reactions were performed on a 7500 Sequence Detection System (Applied Biosystems, Darmstadt, Germany) with 2 min at 50°C, 2 min at 95°C and 40–50 cycles with 15 s at 95°C and 1 min at 60°C. β-Actin served as endogenous control for relative quantification according to the ΔΔC t-method [18, 21]. Individual values for each sample are calculated setting BDNF mRNA levels from the cerebrum of control mice arbitrarily to “1”. For the early deletion of BDNF with the tamoxifen treatment starting on day 7 p.i., mice were killed on day 15 p.i., perfused with 4% paraformaldehyde and then the lumbar, thoracal and cervical part of their spinal cord was embedded in paraffin. For the late BDNF deletion with tamoxifen treatment starting on day 14 p.i., the tissue was prepared on day 30 p.i. In experiments including glatiramer acetate treatment, histological work-up was performed on day 50 p.i. Spinal cord cross-sections were stained with Luxol fast Blue (LFB) to assess demyelination. Bielschowsky silver impregnation or staining for amyloid precursor protein (APP; 1:1,000, MAB348; Millipore, Schwabach, Germany) was employed to analyze axonal damage and loss . T cells were labeled by rat anti-CD3 (Serotec; Wiesbaden, Germany; 1:300) and macrophages/microglia by rat anti-mouse Mac-3 (BD Pharmingen; 1:200) and quantified as described earlier . Confocal laser scanning microscopy after double-label immunohistochemistry for 2′,3′-cyclic nucleotide 3′-phosphodiesterase (CNPase; 1:4,000, Millipore) and the neurofilament antibodies SMI31 or SMI32 (1:1,000, Invitrogen) with anti-mouse Alexa 488- and Alexa 647-conjugated secondary antibodies or double-label immunohistochemistry for SMI32 and APP were carried out according to techniques described elsewhere . 12-Week-old mice were lethally irradiated. Radiation treatment at a dose rate of 1 Gy/min was delivered by a RS 225 X-Ray Research System (Gulmay Medical Systems, Camberley, Surrey, UK) operated at 200 kV, 15 mA and with 0.5-mm Cu filtration. Animals were placed in a customized Perspex box and received a total body dose of 12.5 Gy. The following day, bone marrow cells were removed from the femurs of donor mice, resuspended in PBS and injected intravenously into the irradiated recipients at a concentration of 2 × 106 cells/mouse. The chimeric mice were treated with neomycin at a dose of 0.15 mg/ml in their drinking water for 4 weeks. Chimeric mice were generated either by reconstituting BDNFfl/fl mice positive for ESR-Cre or not with CD45.1 congenic C57BL/6 bone marrow or, alternatively, CD45.1 congenic C57BL/6 mice with bone marrow from BDNFfl/fl mice positive or negative for ESR-Cre. Reconstitution of the mice was tested 4–5 weeks after bone marrow transfer by FACS analysis of peripheral blood using antibodies against CD45.1 and CD45.2 and routinely yielded a reconstitution efficiency of more than 90%. 8 weeks after reconstitution, EAE was induced by immunization with 50 μg MOG35–55 and one injection of 200 ng pertussis toxin. For deletion of BDNF, mice were treated with 3 mg tamoxifen on days 7, 9 and 11 p.i. Lymphocytes were isolated from the spinal cord by density centrifugation following perfusion of mice with NaCl as previously described . Subsequently, cells were stained with the following antibodies: anti-CD3e (145-2C11), anti-CD4 (RM4-5), anti-CD44 (IM7), anti-CD11a/LFA-1 (2D7), anti-CD8 (53-6.7) (all from BD Biosciences) and F4/80 (Serotec). The antibodies were either directly labeled with FITC, PE, PE-Cy7, APC or APC-Cy7 or biotinylated followed by streptavidin-PE-Cy5. All analyses were performed on a FACS Aria II Sorp device allowing for the detection of six fluorescent dyes (BD Biosciences). For the analysis of EAE disease course, group and time effects as well as their interaction on EAE disease score were studied using twofold non-parametric analysis of variance for repeated measures . In this analysis, we were particularly interested in the group × time interaction. A significant interaction indicates a different time course for the two groups with **P < 0.01. The significance level for all P values was chosen to be α = 5%. All analyses were performed using the free software R (version 2.12, http://www.r-project.org). Histological quantification was performed by a blinded observer by means of overlaying a stereological grid onto the sections and counting T cells, macrophages/microglia, APP positive profiles and axonal densities on up to 10–12 lesions per mouse from representative spinal cord cross-sections comprising cervical, thoracic and lumbar spinal cord as described previously . Axonal densities were counted using a 24-point eyepiece from Olympus (Hamburg, Germany), and the number of points crossing axons was measured as a fraction of the total number of points on the sterological grid . Demyelination was analyzed semi-automatically with the CellD software (Olympus). Differences in the histological parameters between the groups were calculated using the non-parametric Mann–Whitney test not assuming Gauss-distributions with *P < 0.05 and **P < 0.01. ESR-Cre mice were crossed with BDNFfl/fl mice to obtain BDNFind−/− mice in which the gene of BDNF can be ubiquitously excised after application of the estrogen receptor modulator tamoxifen . To test for the efficiency and the timing of the BDNF deletion in vivo, BDNFind−/− mice or BDNFfl/fl mice negative for ESR-Cre (used in the subsequent EAE experiments as controls) were treated with tamoxifen (3 × 3 mg every other day i.p. ), and BDNF levels in the cerebrum, cerebellum, spinal cord, spleen-derived T cells and peritoneal macrophages were determined by quantitative PCR at days 0 (reference value), 3, 4, 6, 7 and 10 after starting the treatment. In Cre-negative control mice, the highest mRNA levels for BDNF were measured in the cerebrum, followed by the cerebellum, spinal cord, T cells purified from the spleen and macrophages (Fig. 1a). The relative values did not greatly fluctuate over time, showing that the tamoxifen treatment per se did not influence the BDNF expression levels in the tested organs and cell types (Fig. 1a). In sharp contrast, BDNF levels in the cerebrum, cerebellum and spinal cord of BDNFind−/− mice dropped at day 4 after tamoxifen application reaching a minimal plateau level at day 6 (Fig. 1b–d). The BDNF levels were reduced by ~75% in the cerebrum (76 ± 7%, days 6–10), cerebellum (75 ± 5%) and spinal cord (83 ± 9%; Fig. 1b–d). In T cells, the extent of the reduction of BDNF levels was similar (70 ± 8%); however, the decrease started slightly later, reaching minimal plateau levels at day 7 after tamoxifen treatment (Fig. 1e). In macrophages, the BDNF expression compared to the CNS was very low (8%) and did not change significantly after tamoxifen application (Fig. 1f). These data show that the BDNFind−/− mice represent a suitable model for a fast and significant reduction of BDNF levels in both the CNS and T cells after tamoxifen administration. Estrogens, in general, including the synthetic derivative tamoxifen, are known to have the capacity to modulate the susceptibility and severity of mice against EAE induction [2, 31]. Therefore, we first tested if tamoxifen given alone would influence the clinical course of EAE in C57BL/6 wild type mice. To this end, EAE was induced in a cohort of female C57BL/6 mice and the animals were treated either with tamoxifen (3 mg i.p./treatment) or with sun flower oil as vehicle at days 7, 9 and 11 p.i. There was no significant difference in onset of disease and clinical score (mean clinical scores on day 24: 3.7 ± 2.5 for controls vs. 4.5 ± 3.4 for tamoxifen-treated mice, n.s., n = 5–6 per group), indicating that this tamoxifen treatment protocol did not influence the clinical outcome. Next, we wanted to elucidate whether tamoxifen-induced BDNF deletion would affect the clinical course of EAE. Tamoxifen treatment was started on day 7 p.i., i.e. during the preclinical phase of EAE. Thus, the maximal deletion of BDNF levels coincided with the onset of clinical disease around day 11 p.i. (Fig. 1). Intriguingly, EAE was significantly aggravated in BDNFind−/− compared to control mice without affecting the onset of disease (Fig. 2a). Histological analysis at day 15 p.i. revealed that this could not be attributed to changes in the inflammatory response within the EAE lesions. The levels of leukocyte infiltration did not differ between the groups as indicated by our counts of CD3 positive infiltrating T cells (Fig. 2b, g, h) and Mac-3 positive macrophages/activated microglia (Fig. 2c, i, j). Furthermore, the distribution of the lesions over the spinal cord did not differ between BDNFind−/− and control mice. These findings were corroborated by FACS analysis of cells infiltrating the CNS, quantifying the total number of CD3 positive T cells (Fig. 3a), CD3+ CD4+ T helper cells (data not shown) and F4/80+ macrophages/activated microglia (Fig. 3b), which did not reveal any differences between the groups. Furthermore, the activation marker CD44 (Fig. 3c) as well as the integrin LFA-1 (CD11a; data not shown) on CD4+ T helper cells was equally expressed at a high level in both groups showing that these cells are highly activated. While there were no differences in immune cell infiltration, the extent of axonal damage was significantly enhanced in BDNFind−/− mice as reflected by a significant increase in APP positive profiles (Fig. 2d, k, l) and a parallel reduction in axonal densities in the lesions (Fig. 2e, m, n). In BDNFind−/− mice, there were more axons double-labeled for APP and SMI32 detecting non-phosphorylated neurofilaments that serve as marker for acutely damaged axons (Fig. 2k, l). In addition, in these mice, we also found more pronounced demyelination, evaluated by Luxol Fast Blue staining (Fig. 2f, o, p). The relative distribution of demyelination in the lumbar, thoracic and cervical part of the spinal cord was similar between the groups (data not shown). These data indicate that the presence of BDNF in the early clinical phases of EAE is important for the limitation of inflammation-mediated structural damage. These data raised the question of whether BDNF ablation induced after the peak of disease would similarly influence the disease severity and neuronal integrity. Therefore, we started to treat BDNFind−/− and control mice with tamoxifen at day 14 p.i. According to our earlier observations with this treatment approach (Fig. 1), BDNF levels would be expected to decline at day 18 p.i., i.e. at a time point when a slight recovery of the mice from the peak of disease can usually be observed. Notably, BDNFind−/− mice only developed a minor disease exacerbation that did not reach statistical significance when compared to tamoxifen-treated control littermates (Fig. 4a). The histological analyses on day 30 p.i. did not show significant differences in the numbers of infiltrating CD3 positive T cells (Fig. 4b, f, g) or Mac-3 positive macrophages/activated microglia between BDNFind−/− mice and controls (Fig. 4c, h, i) Furthermore, the axonal damage assessed by SMI32/APP double-labeled profiles (Fig. 4j, k) and quantification of axonal densities (Fig. 4d, l, m) and the extent of demyelination (Fig. 4e, n, o) were similar. Thus, in contrast to the findings obtained after early treatment, BDNF deletion late in the course of clinical EAE does not significantly influence the severity of disease or parameters of tissue destruction. In order to test if the disease aggravating effects observed during early treatment with tamoxifen were indeed due to the ablation of BDNF, we performed treatment studies with glatiramer acetate. This well-established disease-modifying drug in MS is known to exert neuroprotective effects in MOG35–55-induced EAE via modulation of BDNF . Therefore, BDNFind−/− mice were treated with glatiramer acetate at the time of immunization and additionally with tamoxifen starting at day 7 p.i. In this particular experiment, the control mice not treated with glatiramer acetate displayed a fulminant disease course and had to be killed for ethical reasons at an early time point (Fig. 5a). As expected, glatiramer acetate significantly protected wild-type mice from EAE (Fig. 5a). In contrast, glatiramer acetate treatment in BDNFind−/− mice was significantly less effective and mice displayed a significant exacerbation of the disease in the late phase (Fig. 5a). When compared to controls, the histological examination revealed a less pronounced protection of myelin and axons in BDNFind−/− mice (Fig. 5b, c). These results were further corroborated by morphological analyses obtained by laser scanning confocal microscopy. Double staining for CNPase as marker for myelin and neurofilaments revealed that BDNFind−/− mice treated with glatiramer acetate and tamoxifen displayed a reduced immunoreactivity for SMI31 detecting phosphorylated neurofilaments as marker of intact axons compared with controls (Fig. 5d, e). In contrast, we observed an enhanced immunoreactivity for SMI32 detecting non-phosphorylated neurofilaments and serving as marker for damaged axons (Fig. 5f, g). We finally investigated whether the deletion of BDNF is critical in CNS resident cells or in CNS-infiltrating lymphocytes. To this end, we generated bone marrow chimeras. BDNFind−/− mice or Cre-negative controls were lethally irradiated and reconstituted with wild-type bone marrow. Eight weeks later, EAE was induced by immunization with MOG35–55, and all mice were treated with tamoxifen starting at day 7 p.i., the time point where the most pronounced effect was seen in the previous experiments. In this setting, BDNF can only be deleted in resident cells from the CNS but not in lymphocytes derived from the wild-type bone marrow. Again, chimeric BDNFind−/− mice exhibited a significantly enhanced motor impairment, thus mirroring the phenotype of BDNFind−/− mice treated with tamoxifen (Fig. 6a). In a complementary approach, bone marrow chimeric mice were generated using wild-type mice as recipients and BDNFind−/− mice and appropriate controls as donors. These mice, in which BDNF can be deleted only in cells of the hematopoietic system, did not suffer from aggravated EAE but rather displayed a slightly milder disease course in the early phase (Fig. 6b) resembling EAE seen in mice in which BDNF was deleted in both T cells and macrophages/monocytes . In conclusion, CNS resident cells appear to be a major source of biologically relevant BDNF in autoimmune demyelination. BDNF is a neurotrophic factor with pleiotropic properties within the nervous system and is involved in neuronal survival and differentiation as well as synaptic plasticity . In addition, BDNF is expressed in activated immune cells (T cells, B cells and monocytes)  and is histologically observed to be in close proximity to lesions in the CNS of MS patients , suggesting a possible protective role in this setting. Indeed, we and others showed that BDNF is neuroprotective in MOG35–55-induced EAE [18, 23, 24]. Our observations extend these previous studies by addressing (a) the time point at which BDNF action seems to be critical for its neuroprotective effects in EAE and (b) the relevant tissue (CNS vs. hematopoetic system) responsible for BDNF production. To this end, we employed a conditional knockout system with a significant reduction in global BDNF levels by administration of tamoxifen. Notably, the neuroprotective effect was most prominent when BDNF was deleted early, i.e. at a time point after T cell priming (to avoid possible immunological effects) and shortly before the occurrence of first clinical symptoms. In contrast, BDNF deletion after the first peak of disease resulted in only marginal effects on the clinical disease course and on histopathological parameters of tissue destruction. These data suggest that the neuroprotective effects of BDNF in the experimental model of MS are particularly relevant during the early phase of EAE. This is in line with the observations both in EAE and MS patients that key features of neurodegeneration already occur in early disease phases [10, 11, 36]. Thus, it seems that neuro-axonal injury during this early phase may also impact on the functional outcome of disease at later time points, and that an interference with neurodegeneration during this critical phase, i.e. by survival-promoting neurotrophins such as BDNF as in the current study, is a prerequisite for BDNF’s action. Importantly, early deletion of BDNF also affected the efficacy of glatiramer acetate treatment which was previously shown to exert neuroprotective effects via BDNF . This confirms that the observed effects are indeed mediated via the reduction of BDNF levels and not secondary to tamoxifen treatment. Our experiments using bone marrow chimeras in which BDNFind−/− mice were reconstituted with wild-type bone marrow revealed that CNS-derived BDNF is even more critical than immune cell-derived BDNF for a neuroprotective effect in autoimmune demyelination. This is in line with the results observed for tissue-specific deletion of BDNF. The deletion of BDNF in astrocytes/neuronal subpopulations resulted in an enhanced motor impairment early in the course of EAE, whereas BDNF deletion in immune cells resulted in a similar phenotype only at much later time points . Together, the data argue for an intrinsic self-protective mechanism of the CNS that is already called into action at a very early time point of autoimmune inflammation. The deletion of BDNF was highest in the CNS followed by T cells while reduction of BDNF levels was not detectable in macrophages. Of note, Cre expression as measured by real-time PCR was ten times higher in the CNS compared to the thymus and even lower in the spleen, giving an explanation for the weaker recombination of cells in these organs (unpublished results). When compared with CNS tissue and T cells, macrophages express BDNF at low levels , thus making the detection of recombination difficult. Since MS and EAE are reported to be influenced by estrogen receptor signaling [29, 30], we wondered whether tamoxifen treatment per se impacts on the disease course of EAE. In our control experiments using female C57BL/6 mice, we could not detect significant differences between the clinical EAE course of mice treated with tamoxifen at days 7, 9 and 11 p.i. and controls only receiving sun flower oil. Yet, upon administration of tamoxifen as early as 14 days prior to immunization, we found protective effects of tamoxifen in EAE (data not shown) which is in line with previous observations by Bebo et al. and precludes an unambiguous analysis of an even earlier tamoxifen-induced BDNF deletion during EAE. While tamoxifen may reduce T cell proliferation and MHC class II expression early during EAE, it seems conceivable that such immunomodulatory effects are only of minor importance if tamoxifen treatment is started as late as day 7 p.i. In addition, in our experimental setting all mice were treated with tamoxifen including controls. Therefore, potential minor effects of tamoxifen on the immune response would affect all animals and do not explain our observations. Mice heterozygous for BDNF display behavioral abnormalities such as learning deficiencies , aggressiveness, hyperactivity and also hyperphagia accompanied by obesity [14, 22]. Furthermore, mice in which BDNF was deleted in parts of the CNS shortly after birth using a conditional system showed higher levels of anxiety and obesity . A recent approach resulting in a more global deletion of BDNF in the CNS starting around birth also resulted in features of hyperactivity and obesity . In the current study, we could confirm these observations. BDNFind−/− mice exhibited behavioral abnormalities starting 3–4 days after the first tamoxifen treatment. This included hyperactivity, restlessness, sudden jumps and somersaults, as already described by others [14, 33]. Most strikingly, these symptoms were even evident in mice suffering from EAE (unpublished observations). In addition, tamoxifen-treated BDNFind−/− mice gained weight even in the presence of hyperactivity. Over time, their body weight was significantly higher than that of their control littermates (unpublished observations). These observations are well in line with the concept that physiological BDNF levels are not only necessary during the development but also play a steady-state role in the regulation of motor activity and eating behavior in the adult mouse. While BDNF is well known as a survival factor for neurons, the molecular mechanisms linking BDNF to axonal damage are not yet well defined. BDNF has been described as acting on immune cells, e.g. regulating IL-2 production of T cells  and MHC II expression of microglia , presumably via activation of the transcription factor “cAMP responsive element binding protein” (CREB) . In neurons, CREB is a major mediator in the BDNF-TrkB signaling cascade activated either via the PLCγ/Ca2+/CamK IV or, alternatively, through the Ras/ERK/Rsk pathway and regulates BDNF-induced gene expression . Whether CREB is really instrumental for the described axonal preservation in EAE and what role, if any, GA plays in this pathway deserves further investigation. In summary, BDNF plays a protective role in the disease course of EAE. In particular, it is BDNF produced by the CNS that is the main source for BDNF’s immediate neuroprotective action while BDNF from infiltrating immune cells seems to play, if any, rather a minor role. Moreover, BDNF is critically involved already early in the disease course at a time when the first symptoms occur and the inflammatory assault to the CNS is initiated. This observation may have important implications on the timing of neuroprotective drug treatment strategies in MS patients. Our data argue for a therapeutic window of opportunity not only for immunomodulatory drugs  but also for neuroprotective treatment approaches aiming at the modulation of neurotrophic factors. We thank M. Weig, B. Curdt and N. Meyer for excellent technical assistance, C. Ludwig for language corrections and Dr. A. Junker for help with the RT-PCR. We wish to thank Prof Michael Wegner and Dr. Claus Stolt, Dept. of Biochemistry, University of Erlangen for help with confocal laser scanning microscopy. F.L., R.L. and R.G. were supported by the Gemeinnützige Hertie-Stiftung (AZ 1.01.1/05/009), R.G. and F.L. by the Deutsche Stifterverband, Fritz und Hildegard Berg-Stiftung (AZ T 155-15.284), F.L. and A.F. were supported by the Bundesministerium für Bildung und Forschung (BMBF) (competence network multiple sclerosis, ‘Understand MS’) and the Deutsche Forschungsgemeinschaft (DFG, SFB-TR-43 TP B11).